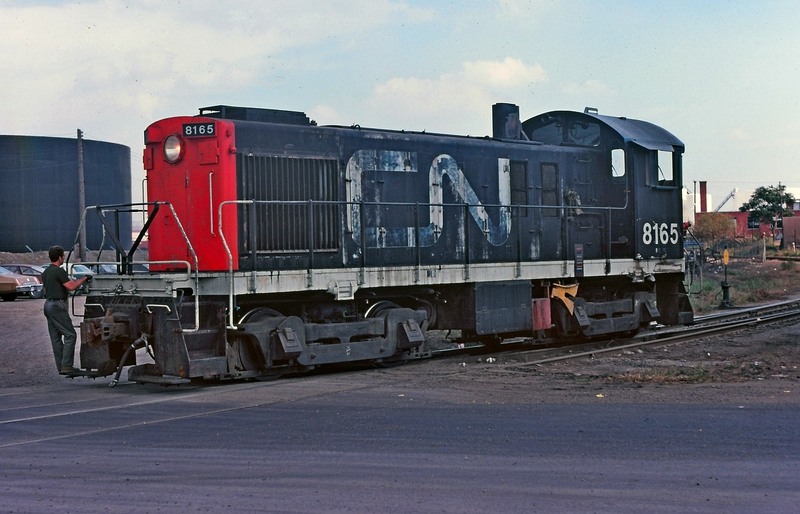 Railpictures.ca - Doug Lawson Photo: Somewhere in the industrial east end of Hamilton, perhaps near Burlington & Wellington Street, a yard crew goes about their late afternoon chores. | Railpictures.ca – Canadian Railway Photography – photographie ferroviaire Canadienne. Caption: Somewhere in the industrial east end of Hamilton, perhaps near Burlington & Wellington Street, a yard crew goes about their late afternoon chores. CVO (now Bunge?) in Hamilton at the foot of Victoria Ave?